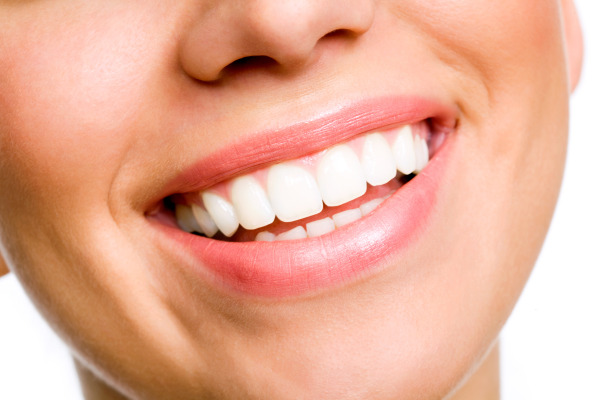 Teeth that are crooked, gapped, or otherwise misaligned can make it hard to feel good about your smile. If you’ve long-suffered from these dental issues for fear of seeking treatment with metal braces, Village Dental provides comfortable and convenient orthodontic treatment with Invisalign® in Lake Zurich, IL. Invisalign® has become the preferred choice for many dental patients and can give you the smile you’ve always wanted, without the inconvenience of metal braces. If you are looking to straighten your teeth, you have many options – including tooth-colored ceramic braces, lingual braces, “clear” brackets and wires, and of course traditional metal braces. However, none of these methods of teeth straightening really compares to treatment with Invisalign®. • Completely Clear – Invisalign® uses a series of clear plastic aligner trays to move your teeth into place. While braces use metal brackets and wires to exert pressure on teeth, Invisalign® uses trays that fit over your teeth to perform the same action. Your trays are made to fit your smile as it progresses into ideal alignment. They trays also disappear on your smile as soon as you snap them on. Even braces that claim to have “tooth-colored” wires cannot provide the same discreet treatment as Invisalign®. • Comfortable – Invisalign® does not use wires or brackets, so there is no metal to scratch or cut the inside of your mouth. Your aligner trays are made of plastic and are therefore smooth to the touch. • Convenient – Your treatment with Invisalign® is removable. If you need to take your trays out for any reason, you can do so easily. You can, and should, remove your aligners for eating and drinking. This makes your diet easy to accommodate and saves your treatment from being damaged by hard foods and carbonated beverages. You can also keep the same oral health routine – there are no special picks or brushes necessary to keep your teeth and gums healthy while undergoing orthodontic care. Invisalign® from Village Dental is also capable of treating the same array of dental problems as regular braces, including, gapping, crowding, and jaw misalignment. Invisalign® has helped many of Dr. Kaplan’s patients achieve healthy, beautiful smiles without the need for the traditional route of brackets and wires. Advances in dentistry have made Invisalign® more accessible than ever before. Many patients believe that Invisalign® has to be costly because it is a more modern treatment method, but the cost of Invisalign® is actually comparable to the national average cost of braces. It’s important to talk to your dental insurance provider, as well as Dr. Kaplan’s office, as coverage and treatment plans will vary for each patient. To begin your Invisalign® treatment, Dr. Kaplan will perform an oral exam, including taking detailed pictures and impressions of your smile. These impressions will be sent to Invisalign®’s laboratory so that your round of treatment can be specially created to fit your needs. When your trays are ready, you’ll return to Village Dental to try on your first aligner. Aligners are typically worn for about two weeks each, for at least 22 hours a day. While each patient case is unique, the average length of Invisalign® treatment is about 12-14 months. Dr. Kaplan has been providing Invisalign® for eight years and has the necessary expertise to plan your treatment in the way that will best suit you. It’s possible to get a straight and healthy smile without a mouth full of metal. To learn more about getting Invisalign® in Lake Zurich, IL contact Village Dental today.